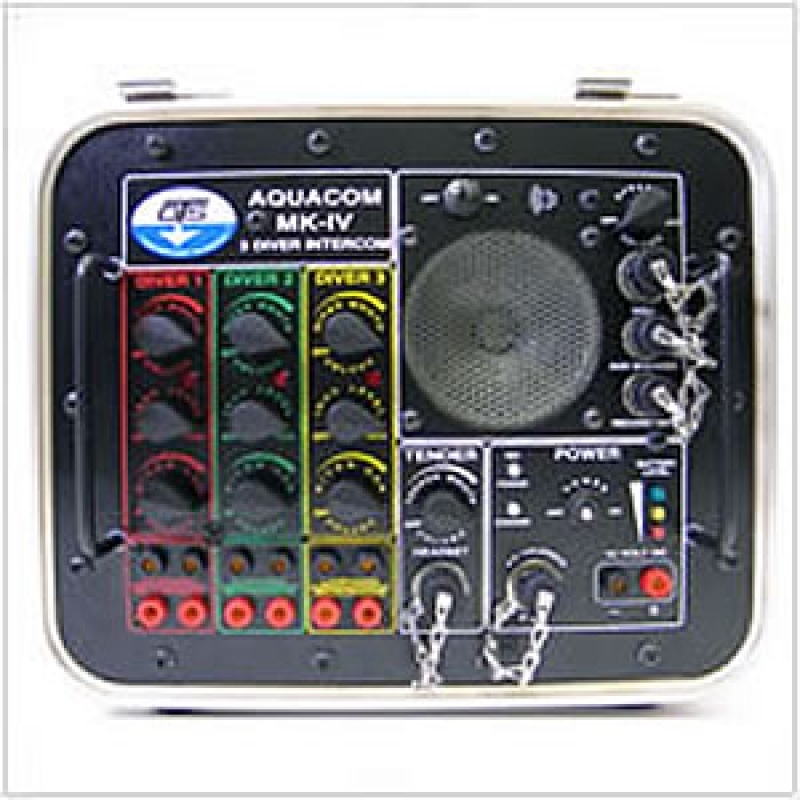 The MK-IV Three Diver Air Intercom represents state-of-the-art technology and innovation second to none. Military divers throughout the world have been waiting for a product of this quality. This robust three diver air box has features specifically designed for the military diver. First and foremost, a third channel designed for the “Standby Diver.” This allows the safety diver will be on line with the other two working divers. The Auxiliary output receptacle is designed to operate with an optional helium unscrambler. Hawker Cyclon 12V, 5.0Ah sealed lead-acide 6 cell battery pack. 14 hours, continuous use (assuming a full charge). Charge time for batteries is 3-5 hours. 16 watts max (4 per diver and 2 watts each for tender headset and panel speaker).